Developed by Dr. Edward de Bono, the “Six Thinking Hats” ™ technique is a framework designed to promote holistic and lateral thinking in decision-making and evaluation. Conducted alone or in group meetings, participants – project members, key decision-makers and stakeholders – are encouraged to cycle through different modalities of thinking using the metaphor of wearing different conceptual “hats”. This approach seeks to combine the strengths of a range of different mental “states” which individuals instinctively tend towards – from rational and positive perspectives to emotional and intuitive, or from optimistic to pessimistic - by prompting participants to consider the same problem through a full spectrum of thinking styles in coming to common agreement on a decision or shared purpose. White hat: “Information”. Objectively consider available information, focusing only on data available, where gaps in existing knowledge exist, and what trends can be extrapolated from the information to hand. Red hat: “Emotions”. Identify emotional reactions, judgments, suspicions and intuitions in oneself and others, separate from the objective data itself. Black hat: “Negatives”. Raise and consider any potential flaws, risks, challenges and fears in a decision or plan in order to preempt them and avoid the dangers of over-optimism. Yellow hat: “Positives”. Identify all optimistic, constructive aspects and suggestions regarding a decision or plan, with an eye towards building confidence and enthusiasm at the outset. Green hat: “Creativity”. ‘Blue-sky’ thinking. Consider abstract thinking, digressions, alternative proposals, and provocative statements. Blue hat: “Overview”. Consider the entire thinking process itself, i.e. ‘meta-cognition’. Review and assess the six hats session thus far, identify places where a specific modality of thinking needs expanding, revisiting, or balancing. In a “six thinking hats” session, each of these hats is “worn” by participants, the process guided by a facilitator familiar with the option. These hats may be metaphorical, or even physical, and each change of “hat” indicates the next stage of the session. By the end of a successful “Six Hats” session, a particular decision or evaluation will thus have been considered from a range of viewpoints. The German Federal Ministry for Economic Cooperation and Development (BMZ) employed the six hat methodology in their support of Sri Lankan government’s attempts to improve the planning and implementation of post-tsunami housing and reconstruction efforts. To this end, Sri Lankan and German counterparts cooperated in a series of joint project planning sessions which began with six thinking hat sessions. These sessions were used to identify and generate mutual understanding of the key issues which needed to be better understood and addressed in the reconstruction process. Sessions should begin with a “blue hat” period, allowing participants to arrive at a consensus regarding how subsequent thinking should be accomplished – the other colors are then cycled through. For evaluation and performance review, the recommended sequence is Blue, Red, White, Yellow, Black, Green. Evaluators should feel free, however, to adapt this to whichever sequence they find most effective in practice. The facilitator should be ready to clarify each stage of thinking, plan the sequence of “hats” in advance, refocus discussions in line with each stage of thinking, and be prepared, if need be, change the thinking in line with participant feedback. 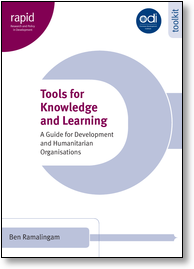 Tools for Knowledge and Learning - Guide: Collaboration Mechanisms: Six Thinking Hats in Ramalingam 2006, Overseas Development Institut (ODI). De Bono, E. (1999) Six Thinking Hats, Revised Edition. Little, Brown and Co: London. I have used this option. It's a very laborious option. I helps explore the various sides (dimensions) of an issue. It's like a systemic appproach. It supports you to distance the situation so you can identify the gap of information you need to make a good decision and predict (think about) reaction of others and prepare yourself for appropriate solution on how to manage the situation. It supports to be objective in a situation you're involved in. It's a group learning session. Everyone including the facilitator learns from the reflection.